Member Links In GREEN - the GOOD stuff. Members get FULL site access and the ability to download photos! All the links below and more (see other site map pages). *Since this has been going since dial-up, as the year pass the photos do get larger due to the fact that most people have some sort of high-speed internet. Rare Video Clips - 1966 US Nationals and more! Cupit & Cunningham AA/FD - They did it for love. SPECIAL EVENTS - TRIBUTES ETC. 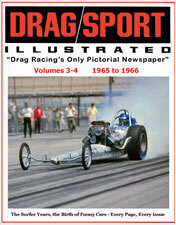 Exclusive: Remembering Lions Drag Strip DVD, Drag Sport Illustrated and much more. (460,000+ photos and constantly growing) WITH 50+ PHOTOS ON EACH PAGE. Site Copyright &COPY; 1998-2019 All Rights Reserved.